Two Roman tombs have been uncovered during excavation work at Beer El-Shaghala site in Mut village in Dakhla Oasis. 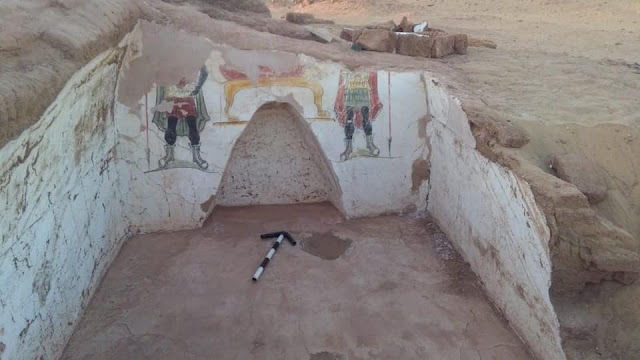 The walls of the two uncompleted tombs are painted in bright colours with religious scenes. 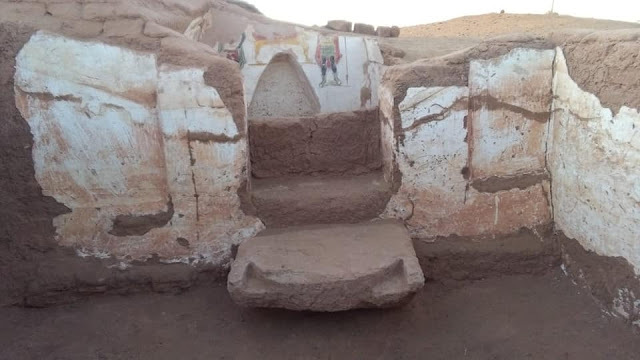 Mostafa Waziri, the secretary-general of the Supreme Council of Antiquities, explains that the first tomb has a 20-step staircase covered with plaster, which leads to a native made of limestone. The main hall of the tomb is made of mud brick with a vaulted ceiling that is partly destroyed. Its northern wall has two burial chambers containing a collection of human skulls and skeletons as well as clay lamps and pots. 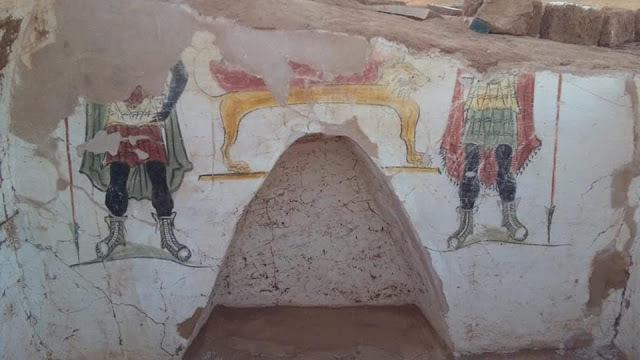 Aymen Ashmawi, the head of the Ancient Egyptian Antiquities Department, said that the second tomb has a funerary corridor that leads to a vaulted chamber on its northern wall, which holds a niche engraved with a painted scene depicting the mummification process. Ashmawy added that 10 other tombs were recently uncovered in the area. They have a very distinguished architectural style, with pyramid shaped roofs and each tomb consisting of two or three levels.